It should’ve been the album and tour that broke Thee Hypnotics’ incandescent rock & roll through to a wider, global audience, yet circumstances beyond their control conspired to turn their dreams into the stuff of nightmares. Instead of taking the States by storm, Thee Hypnotics found themselves cast adrift in America travelling in a dilapidated school bus with no tour or press support, but with just enough camaraderie to see them through to the other end. Having been signed in 1993 to American Recordings with the help of The Black Crowes’ frontman Chris Robinson, Thee Hypnotics transplanted themselves from London to the sunnier and altogether more exotic climes of Los Angeles to record what was to be their third album, The Very Crystal Machine. Not that Thee Hypnotics were strangers to the United States. Contemporaries of Spacemen 3 and the leather-era Primal Scream, the Detroit-influenced ramalama of Thee Hypnotics came to the attention of Mudhoney’s Mark Arm. 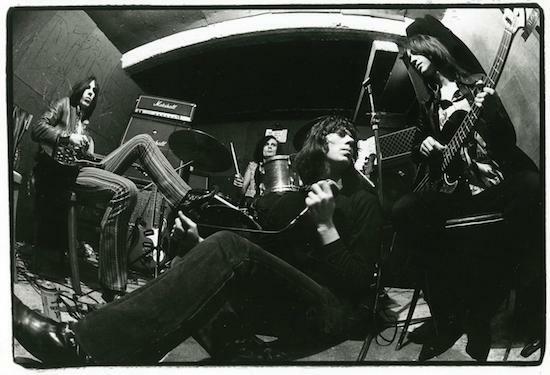 At his urging, Thee Hypnotics became the first British band to be signed by Sub Pop and their debut album, Live’r Than God found itself in the company of Nirvana’s Bleach and God’s Balls by Tad, among many others. Hanging out in Seattle, Thee Hypnotics immersed themselves in the city’s musical culture, while certain members began to develop some particularly anti-social habits. Indeed, their debut studio album, 1990’s Come Down Heavy, was remixed by Jack Endino after the band heard his work on Nirvana’s debut. It was around this time that Thee Hypnotics came to the attention of southern rockers The Black Crowes who were touring their debut album, Shake Your Money Maker. So enamoured were The Black Crowes of Come Down Heavy that they offered Thee Hypnotics a crucial support slot on their debut UK tour, an experience that proved instructional. It was around this point that Chris Robinson offered his production services, though nothing would come to fruition for another couple of years. An agreement was eventually reached in muddy field in Somerset. “We went to meet him at Glastonbury where The Black Crowes had their own tent that was lavished with Persian rugs,” remembers guitarist Ray Hanson. Finding themselves based just off the Sunset Strip in LA, Thee Hypnotics soon realised that they weren’t just in another city, but a whole different world. Finding themselves at parties frequented by a variety of A-listers only too keen to hang out with the band, Thee Hypnotics lifestyle was becoming increasingly unhealthy. “…so we borrowed a bit of it!” chuckles Hanson mischievously. Focussing on the matter in hand, Thee Hypnotics decamped to Rumbo Recorders in Canoga Park, California. Built and owned by Daryl Dragon of pop duo Captain & Tennille, Thee Hypnotics were encouraged by the studio’s sense of history thanks to gold discs from Guns N’Roses, Tom Petty And The Heartbreakers and Kiss among others that had been recorded there. Yet any hopes of a harmonious working relationship with Chris Robinson were soon dashed by a clash of egos between the producer and the band’s singer and guitarist. With the benefit of hindsight, Thee Hypnotics have come to appreciate the pressure that Chris Robinson was under, as well as the pressure he exerted over the band. Jones and Hanson’s extra-curricular activities were also beginning to irk the producer. From a remove of 25 years, Jim Jones says, “Chris Robinson put his arse on the line and went to American Recordings and said, ‘Listen, there’s this great band that nobody’s head of and no one cares about, but I think they’re really cool and if you let me record their album, I could be the person who makes it go massive’ He believed in us and he must have got a serious chunk of money. Whatever tensions had been endured during its creation, The Very Crystal Speed Machine certainly gave no indication of them. While tracks such as ‘Heavy Liquid’ retained Thee Hypnotics’ trademark riffola and heavy grooves, the narco balladry of ‘Caroline Inside Out’ found the band in mellower territories. Yet for all the band’s enthusiasm for the album and its upcoming promotional US tour – their primary territory – events would soon take a downward turn. As a portent of what was to come, the Winnebago tour bus offered by the label broke down near Chicago as it was being driven en route from California to New York where Thee Hypnotics were about to start their tour. Desperately needing transport and with funds being, their US manager had to sort something quickly. “He went to an auction and found an old yellow school bus with wooden seats and no air conditioning and no real security. He took out four rows of seats and laid down some foam and that’s where we were supposed to sleep,” chuckles Jones at the memory. There would be further weather extremes to test the band. Driving through Kansas, Thee Hypnotics found themselves driving into a tornado. Though their shows in New York and LA had sold out and their Detroit show had seen them tear through The MC5’s ‘Kick Out The Jams’ with the addition of Scott Morgan from Sonic’s Rendezvous Band, the rest of the tour was sparsely attended. “You’d get to a city to a play a gig and the record wasn’t in the stores,” says Hanson. Looking back at what could easily be viewed as a dispiriting exercise, Jones is proud of the tour. 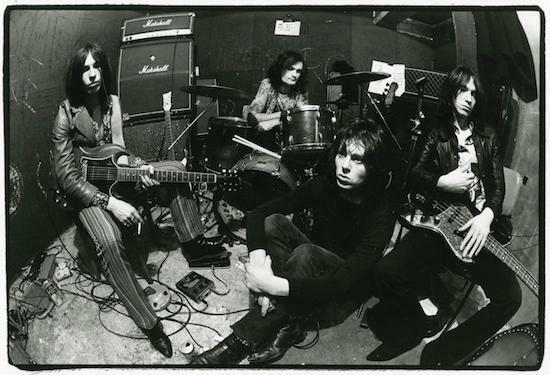 With Thee Hypnotics reuniting for a UK tour – their first in 20 years – and the re-release of their back catalogue, how does The Very Crystal Speed Machine stand up now?